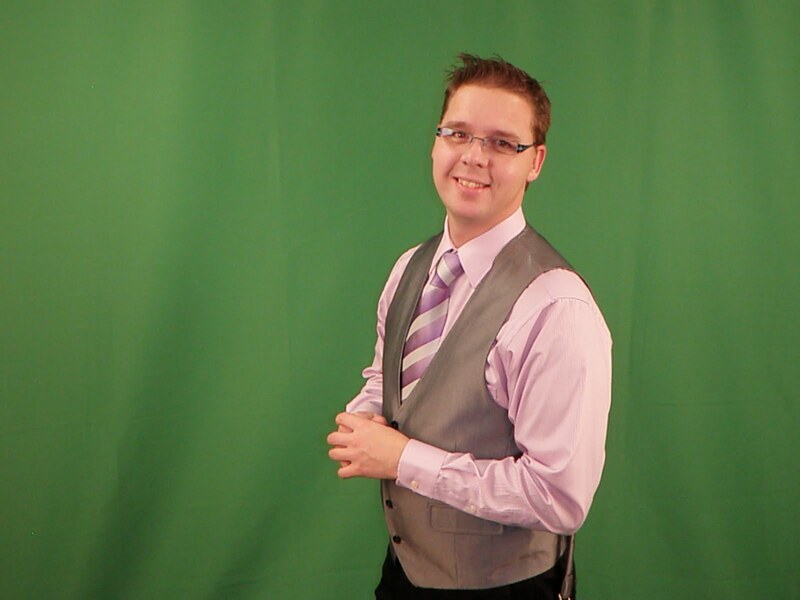 My picture should be more gritting teeth and looking unsure of myself… This is a shot in front of my green screen without a faked background. Diva Dan and I are on the verge of something so big that there’s so much to do… lots of time to do it… but I am unsure what to expect. I have been invited to be part of the Creative Festival in Toronto Ontario. I was recommended by a sponsor of mine and the organizers have contacted me to be part of this huge event. I am to enter this event under “Celebrity Status” due to my YouTube Channel and the success of teaching millions of people. Under Celebrity Status, I am to self promote myself, my channel, and meet fans who “may” attend and introduce myself to thousands of new people. Part of the deal is that I must teach, give seminars and/or lectures. Teaching people is no big deal… Being in front of a large crowd is no sweat to me… it’s all the background work involved to making this fly. I have to get promotional materials organized and put together. Diva Dan is in process of creating “OUR” press releases and media packages. Going in the show under this “Celebrity Status” may open doorways to television interviews & newspapers articles. I have to find a source to create my DVD’s. I have to start filming these DVD’s. I have sponsorship to put them into a store already. I just have to decide what to put on the DVDs. Should they be something that you can’t find on YOUTUBE exclusive to the CD only? Viewers have helped me already to establish to define my presence. I’m known for RAINBOW Products… so I am thinking the majority of my products on display are Rainbow… but I have to determine what ones to put on display. Essentially, any product I put on display, I should have a matching DVD to make it. I have some investment to do… I have to create something to give away to people so they remember me. I have to find a sponsor to pay for a large Flat Screen Television, MAYBE TWO TV’s for background videos showing over our heads of things you can learn from Mikeyssmail. I have to create a banner and/or signage. I believe I have the sponsorship of products to sell. I have to create outlines for the many seminars I will be hosting. I have to host at least 5 Seminars throughout the weekend. They should be different. So whether it’s a project or technique, or talk. Diva Dan may be hosting lectures about creativity and finding the passion within. It’s okay to be creative! People have to sign up for them. In the seminars, the people walk in empty handed and purchase a LEARNING KIT… What is in the KIT I have to decide. Again, I believe I have the sponsorship of getting these materials. Our presence will be announced in nearly 80,000 publications. This is a huge deal… Mikeyssmail is a two part team. Mikey & Diva Dan! Right now I feel stuck… under pressure but excited at the same time! This entry was posted in Announcements and tagged Celebrity Status, Diva Dan, DVD, Teaching. Bookmark the permalink.